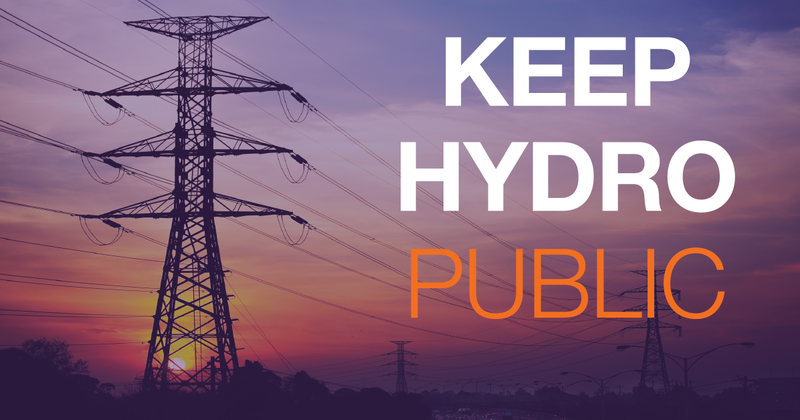 TORONTO, ON – Ontario Premier Kathleen Wynne and Ministers of Finance and Energy now face legal troubles over the privatization of Hydro One. The Premier along with Minister Charles Sousa and Minister Glenn Thibeault have been served the mandatory 60-day notice of intent to file a suit against them for misfeasance while in public office. It has now been repeatedly reported that the Premier and her government Ministers have held exclusive fundraising events to raise money for the Ontario Liberal Party with ticket costs running up to $10,000 each. A recent Globe and Mail investigation uncovered that invitations to, and attendance at these exclusive events included the banks that have made nearly $60 million from the privatization of Hydro One so far. CUPE is Ontario’s community union, with more than 260,000 members providing quality public services we all rely on, in every part of the province, every day. CUPE Ontario members are proud to work in social services, health care, municipalities, school boards, universities and airlines.